If you are a dog owners and have not heard about rawhide dog treats, I urge you to read this article about the health benefits of rawhide dog treats for your dog. Do not forget to share it with your friends. By nature, dogs are chewing animals. It’s in their instinct to chew on something. Chewing strengthens dogs’ gums, cleans the teeth, and regulates a dog’s digestive juices. Dogs are also carnivorous animals, which explains why in the wild they can consume an entire hunt, including bone and skin. On the other hand, some domesticated dogs aren’t very avid chewers; several puppies have underdeveloped jaw muscles and teeth, or shorter attention span. Thus, crunchy or munchy rawhide dog treats become their perfect companions. 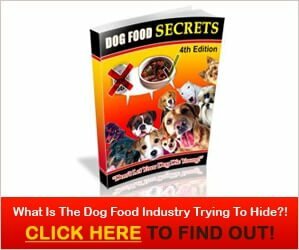 Crunchy or munchy rawhide dog treats bought from reputable manufacturers will be a “natural product” that contains nothing but rawhide bits pressed into a desired shape with tapioca binder to maintain the shape. So what’s the difference between munchy rawhide and crunchy rawhide? Basically, munchy rawhide, crunchy rawhide, or rawhide novelties are all the same. The rawhide is ground into fine “powdered form”, moistened using water, colored using food-grade coloring, mixed with the tapioca as its binder, and extruded into desired shapes. It’s then baked till firm, or allowed to dry. How can rawhide dog treats help your dogs? The natural tendency of dogs to chew has benefits. The pressure and tugging on a dog’s gums and teeth serves to clean their teeth and toughen their gums for healthy mouth. Chewing on rawhide dog treats provides two benefits to dogs: dental benefits and behavior benefits. Heart and kidney disease, as well as infections can be the result of a dog’s poor dental health – providing bacteria with an environment to get into a dog’s body. Bacteria in their mouths break down the food particles, converting them to excess acid and plaque. As dog’s chew on rawhide, the rawhide is moistened and wraps around their teeth, rubbing off calculi and plaque. Every dog has the inherent desire of chewing, particularly puppies. Unusual chewing can indicate signs of vitamin deficiency or lack of exercise; nevertheless, it’s most often simply a normal craving to chew. This drive may show itself on clothing and furniture items. Rawhide dog treats will offer a safe chewing outlet for your dogs. While rawhide dog treats are not actually food, they’re safe chewable products that can be, and very often, consumed. It’s generally eighty to eighty-five percent protein, ten to twelve percent moisture and fiber, and one to two percent fat. Rawhide is high-protein and low fat, compared to pork skin products that you’d give your dogs. An hour or two of “daily” chewing is adequate. Rawhide dog treats are not only beneficial to your dog’s dental and behavioral aspects, but dogs will surely enjoy the healthier chewing treat they get. If you enjoy the benefits of rawhide dog treats for your dog post, share it with your friends on facebook and pinterest.